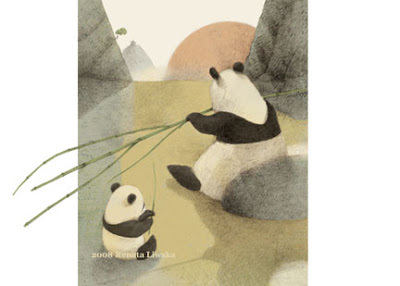 The story of Bao Bao and his mother Lin Lin is what follows. 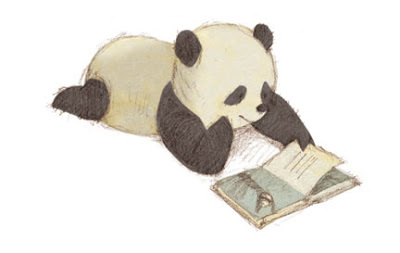 Bao Bao spends his time climbing trees, playing chase and falling down, always under the guidance of Lin Lin. However, “Playing was not just for fun. It was also the way Lin Lin taught Bao Bao important panda lessons.” One day, when Lin Lin must travel far from home for bamboo for them to eat, she leaves Bao Bao asleep in a tree, which she warns him might be a bit too slender for a growing panda. This proves true when a tiger comes along and makes his way up the tree. Luck on the part of Bao Bao and springiness on the part of the tree combine to make a tiger fly! I am enamored of Renata Liwksa and her storytelling skills, both visually and verbally. I have no doubt that she will become part of the canon of classic children's picture books and that in 20+ years, adults who loved her work when they were children will still be able to find it on the shelves of bookstores to read to their children. Liwska is very generous with sharing her creative process and, for those of you who have a creative bent, her blog Pandas and Such is a wealth of photos of her sketches as well as photos of her sketching - makes me want to run out and buy a(nother) Moleskine notebook and a mechanical pencil!!! 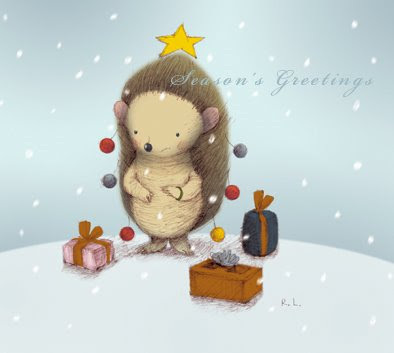 Also, Renata likes to make holiday cards, and there are some very adorable ones to take a gander at. Besides being a talented artist, Renata is a talented crafter, as this little bear, Alberto, demonstrates. Finally, Renarta Liwska is the wife of illustrator Mike Kerr and together they have a website called uwaga, which means "attention" in Polish, and features their works. Below is an illustration of the letter F by Mike. 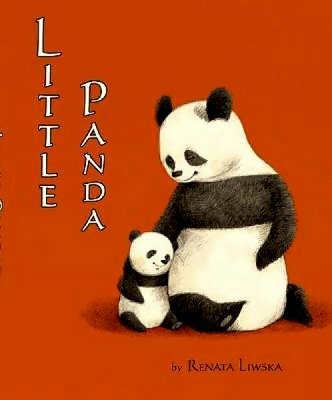 We are big fans of Renata Liwska -- Little Panda and the Wuiet Book are two of our favorites! She is amazing! Wouldn't it be incredible to have her paint a mural in your kid's room???? 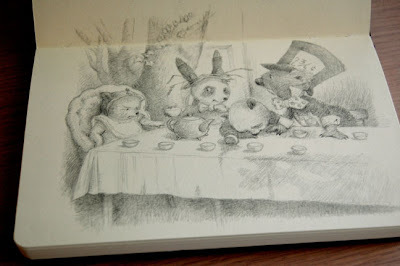 Sarah Varon, an author/illustrator I am featuring next week did that for a friend and has a picture on her blog. What a gift!!! We have a couple of her prints in our living room, and they are HIGHLY treasured! Wonderful! In the living room, where they should be! Early on, in the time before kids when disposable income was a reality, not a dream, my husband and I collected a few treasures pieces. 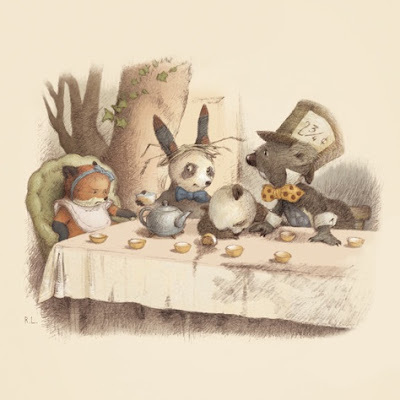 A print from William Joyce's "Day With Wilbur Robinson," a specially made print by Hilary Knight celebrating ELOISE'S 40th Birthday and an ORIGINAL by Rosemary Wells... Like I said, saving my pennies for a print by Renata!! !